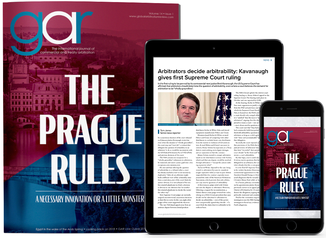 GAR prides itself on publishing reliable and informative arbitration news, providing readers with news updates five days a week, original annual reports and surveys, and in-depth features covering issues in international arbitration around the world. GAR's dedicated team of journalists travel to report globally and have established a wide network of contacts to break news first. For further insight into the content that GAR publishes, you can sign up to receive the free daily news briefing. 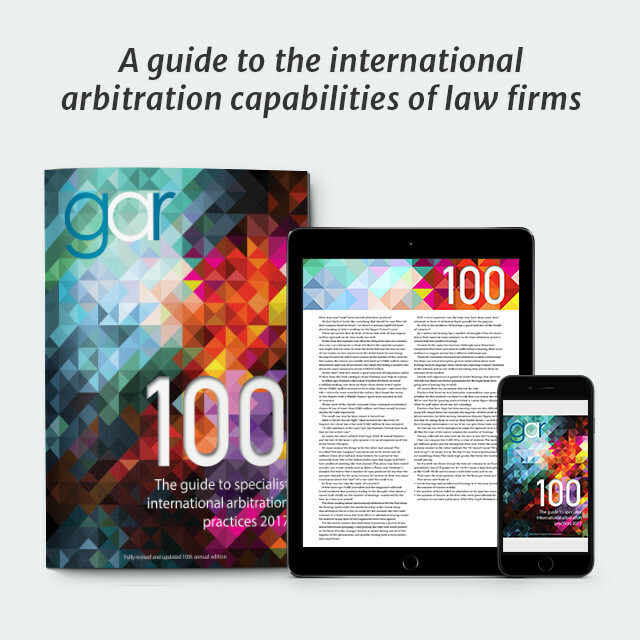 Each year GAR publishes our unique signature survey: the GAR 100, a guide to specialist arbitration firms worldwide. The survey points readers to dependable counsel, offering extensive qualitative analysis of arbitration practices around the world. Firms are stringently researched and assessed to ensure that only the elite are listed, with the GAR 30 ranking the very best. GAR Live events are innovative and interactive, encouraging audience participation throughout. Topical discussions are followed by a symposium session with submitted questions and a live debate. Some of the leading figures in international arbitration gather in the world's major cities to debate key issues, creating live content for our magazine. GAR Know-how is an online Q&A resource which provides practitioners with a dynamic and global reference guide to particular dispute types. We currently have five know-hows: GAR Know-How: Commercial Arbitration, GAR Know-How: Construction Arbitration, GAR Know-How: Enforcement, GAR Know-How: Investment Treaty Arbitration and GAR Know-How: Litigation and are working on new titles to provide even deeper coverage on international arbitration. We also publish four annual reviews providing first-hand insight into international arbitration in important jurisdictions around the world. The Arbitration Review of the Americas, The Asia-Pacific Arbitration Review, The European Arbitration Review and The Middle Eastern and African Arbitration Review focus on the regional issues and important cases, reflecting on what's been happening on-the-ground over the past year. Reviews are published free-to-view online and also available to purchase in print: they are distributed to subscribers and are available at most GAR Live events. 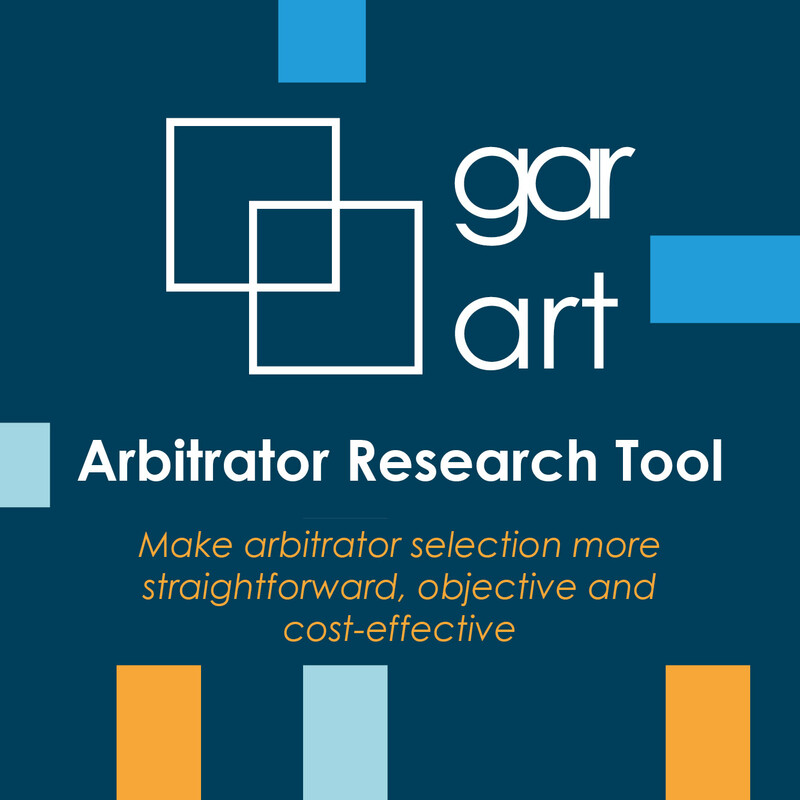 Alongside GAR Know-how and reviews, GAR has published five guides, The Guide to M&A Arbitration, The Guide to Damages in International Arbitration, The Guide to Advocacy and The Guide to Energy Arbitrations and The Guide to Construction Arbitration. Guides are free to view online and also available in print to purchase. We are always keen to hear from firms who are interested in helping us expand our jurisdictional or substantive coverage, so please contact insight@globalarbitrationreview.com to find out more. GAR is published by Law Business Research Limited, an independent, multi award-winning publisher of research, data and analysis on international business law and international legal markets. David is the longest serving journalist at Law Business Research and is the company's editor-in-chief. Since joining in 1999, he's run sister sites Global Competition Review, and Latin Lawyer (as a locum), launched Global Arbitration Review, Global Investigations Review and Global Restructuring Review, and organised numerous conferences under those brands. He read law at Oxford and Cambridge. After graduating from Christ Church, Oxford, with a first in English, Ali studied law at City University and the Inns of Court School of Law. She practised for five years as a barrister in London, doing a mix of civil and criminal hearings and spending many hours a day on trains to far-flung courts. She joined GAR a year after it was founded, in 2007, and was delighted to replace trips to Milton Keynes county court with conferences in Rio, Singapore and Mauritius. She became Editor in 2009. She has also written for the Evening Standard. Sebastian Perry has worked at GAR since 2010, including as news reporter, features editor and acting editor. Before that, he was a sub-editor for LBR's production department and a reporter for another LBR news title, Latin Lawyer. He has a B.A. in English Literature from the University of Oxford and an M.A. in English Renaissance Literature from the University of York, UK, as well as a postgraduate diploma in journalism from the London School of Journalism. Tom completed his law degree and legal practice course at the City Law School in London, where he received the Martin Dockray award for the highest mark in his undergraduate year. A keen sports fan, he is happiest when using his season ticket to visit Arsenal's Emirates Stadium. After graduating in English Language & Literature from the University of Oxford, Jack spent two years in financial public relations. He practised as a commercial dispute resolution lawyer for seven years in London (and for a period in Hong Kong) with particular experience in media law, competition law and regulatory investigations. He was previously an editor of the UK Supreme Court blog and joined GAR in 2018. Cosmo holds a B.A. in English Language and Linguistics and an M.A. in Multimedia Journalism from the University of Sussex, as well as a National Council for the Training of Journalists diploma. After completing his studies he spent a year living and skiing in Canada, before joining GAR in 2017.